You probably all thought that coffee brewing equipment had reached the end and no one could possibly produce something new with an excellent design and great cup profile. Well, I'm here to tell you that the guys at It's American Press have done a great job for what I call the new style plunger. The It's American Press is a brewing device quite similar to a plunger/aeropress but much more refined and a lot more forgiving when brewing your cup of coffee. It uses pressure as the mode for coffee extraction while the coffee grounds are contained in a reusable basket. 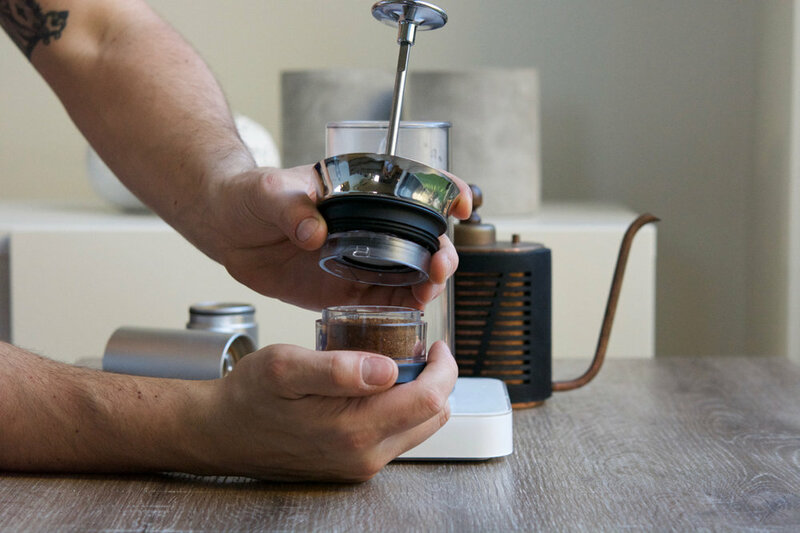 You could say its principles are somewhat more like an espresso machine than any other device. The two filters it uses are a 150 micron stainless steel filter (the inlet filter) and a 100 micron (the outlet filter) which is very good at keeping out those unwanted coffee fines/coffee sludge. The carafe is double wall insulted with indicators to tell you where to stop your water level. The carafe is 100% BPA free. The top cap is solid stainless steel, including a pouring spout which is drip-free. The seals around the filters are silicone, which fit tightly enough to direct positive water pressure but easy enough for the operator to push downward. It's cleaning process is super easy and very quick. 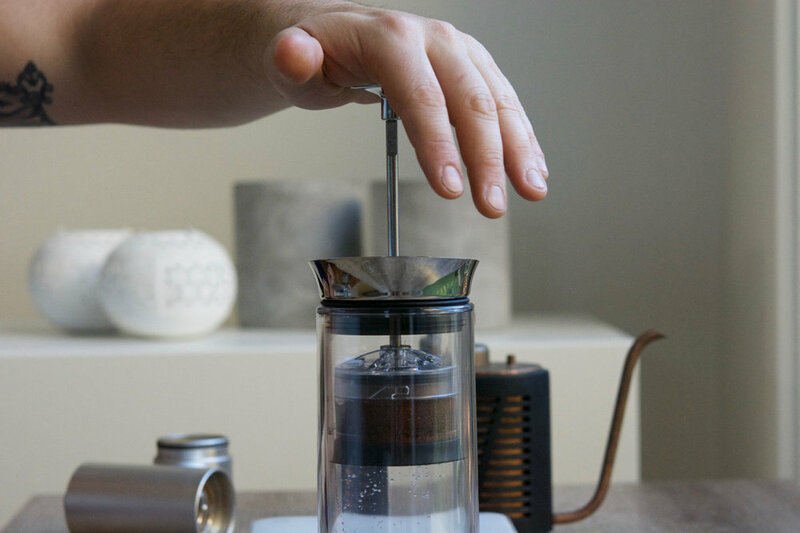 Soak your stainless steel filter in coffee for a few hours. This process removes the stainless steel taste you might get in your first few brews. Use a medium coarse grind for optimum results. Using a fine grind can give you a lot of coffee sludge. Steep coffee for 1-2 minutes. Grind 22 grams of coffee to a medium grind. A little like table salt. Open the pod and place your ground coffee into the basket. Tap the basket on the table a few time to settle the grinds. Attach the pod basket to the stem. Make sure you keep it all upright. Place 310mL of 94 degree water into the carafe. Now place your basket into the carafe. It should form a seal but make sure the water is not touching the coffee. Start your timer. Push the basket into the water, only submerging the ground coffee. Once you see the water escaping from the top, STOP! This is your blooming stage. Let it bloom for 2 minutes. At 2 minutes, start pushing down slowly. The draw down should be 1 minute. So it is really slow. You will see the coffee start to fill the carafe. Once you have pushed the stem all the way down, decant the brew immediately.